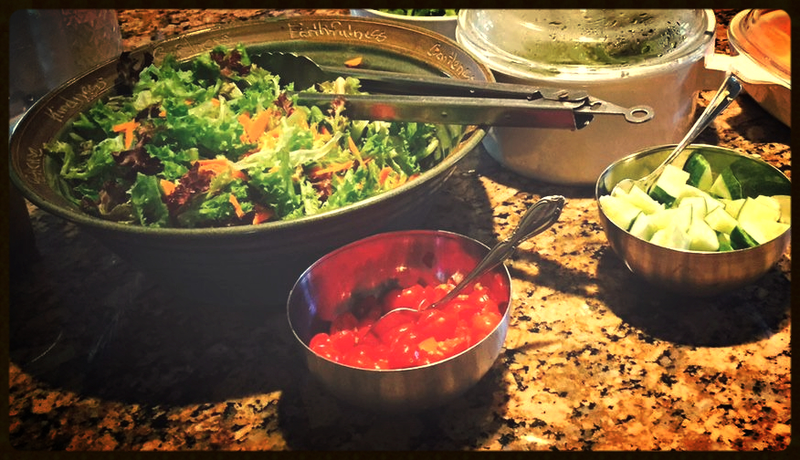 Every Tuesday during the warmer seasons, we have a Taco Salad-Bar for our lunch… This make menu planning easy and Taco Tuesday just rolls right off the tongue, too! We use either chicken, pork or ground beef – of course it’s locally sourced – the chicken and pork from our farm and the beef from our friends over at Mountain Run Farm! 1) Cook the meat (pulled pork, shredded chicken or browned beef). 4) Add the cooked meat to the pan and about 1/4 cup of chicken stock. Warm through and you’re done! Serve over a bed of fresh salad greens, add black beans (optional), shredded cheese, guacamole, fresh tomatoes, cucumbers, salsa, and a nice glob of homemade plain yogurt (or sour cream if you’d rather). Voila! Have your own Taco Tuesday and enjoy the fiesta!